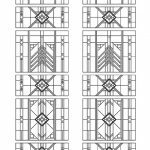 The best made stained glass window will eventually succumb to a combination of chemical and physical forces. Wind, moisture, and the cycles of expansion and contraction inherent with temperature variations all contribute to metal fatigue. The majority of the time, it is the metal came which is compromised by these elements, not the glass itself. As this happens, these windows fall out of plane. The came begins to corrode and buckle, and pieces of glass will begin to crack under physical forces they were never intended to resist. Through traditional techniques, and a dash of modern metallurgy and chemistry, these panels can be restored. 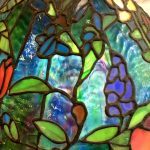 Whether a window or skylight is historically precious, or simply precious to you, these treasures can safely radiate beauty and inspiration once again. 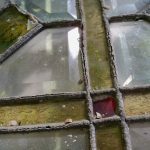 When leaded windows deteriorate, they begin to buckle and crack. The damage is arrested soon enough, these cracks can be mended with epoxy. Cosmetic repairs, carried out over the years, can be corrected on the workbench with better material and techniques. 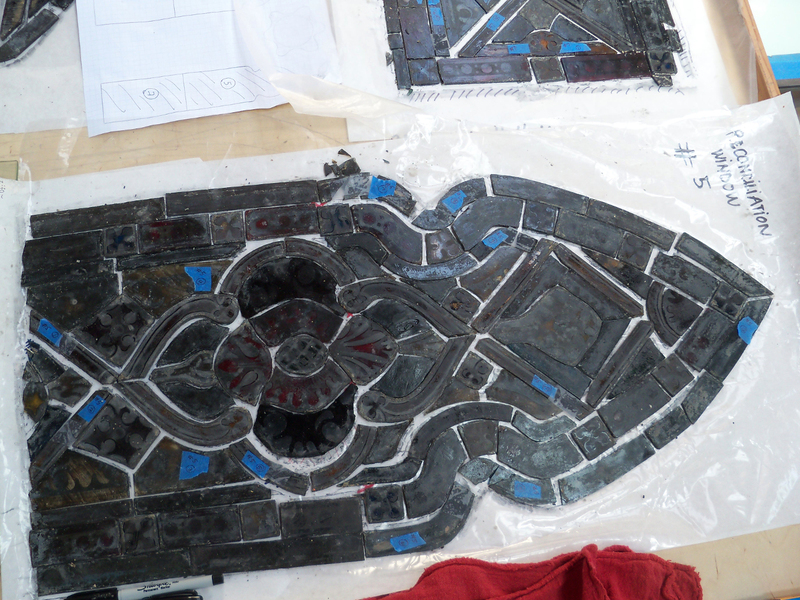 Before dismantling, a rubbing is made of each panel. 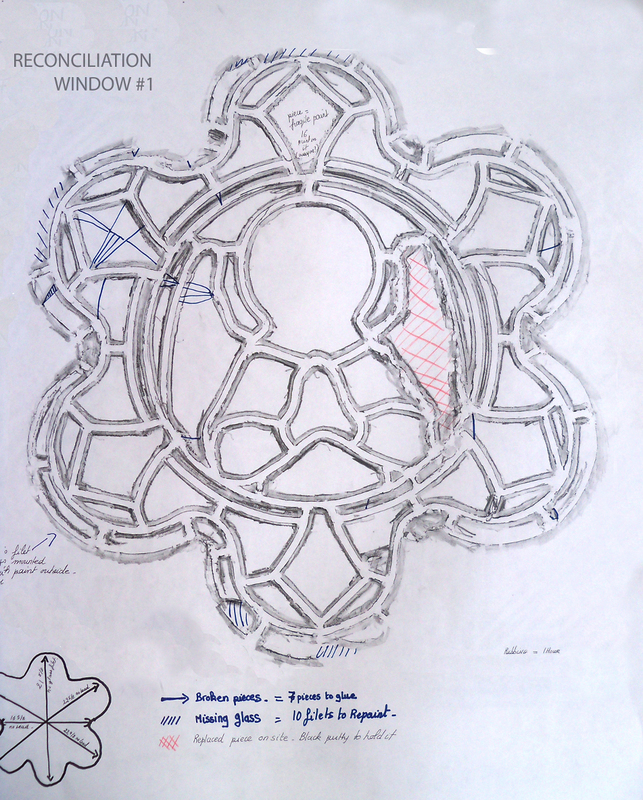 These rubbings reveal the contour and detail of the panels leadwork. After the the initial documentation, leaded panels are completely dismantled. Lead came is prone to deterioration from weather and from thermal expansion and contraction, which causes metal fatigue. 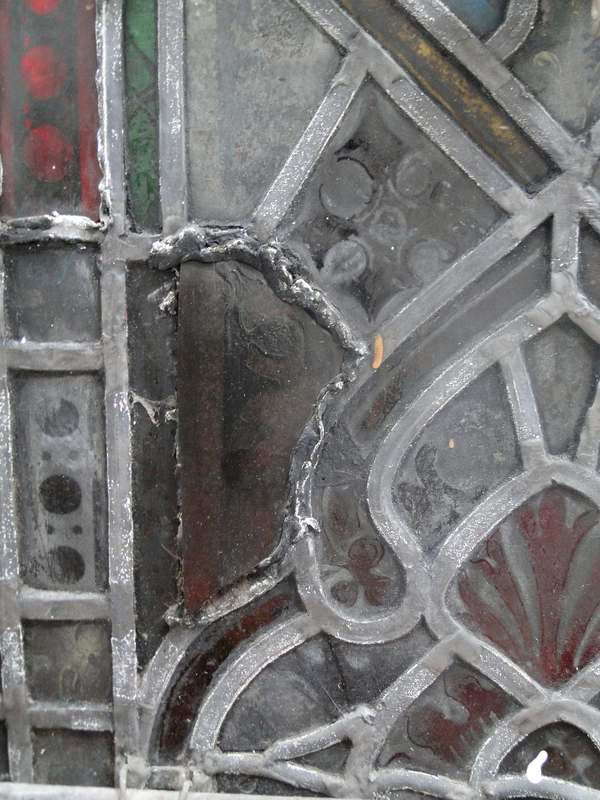 Conservation of artwork in general, and leaded glass specifically, is an activity whose methodologies may include conservation (to arrest the deterioration of an item), restoration (to re-establish an item in its original setting), renovation (to renew an item, as far as possible), or replacement (the harmonious substitution of new material into an older item). The key principles of any conservation strategy should be of minimum intervention and maximum reversibility. Research and documentation are also integral parts of a complete conservation project. 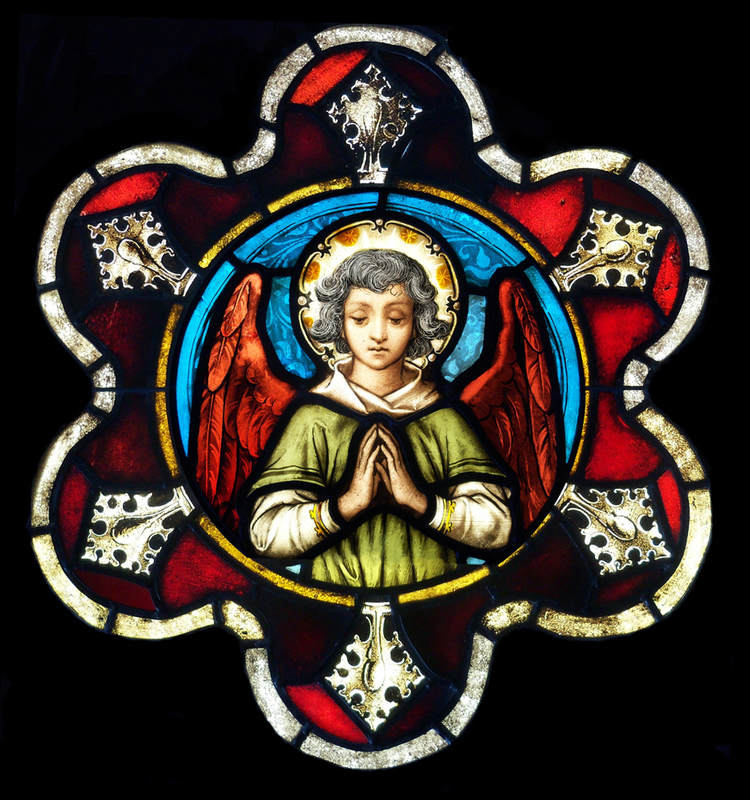 This includes an inquiry into the original function and history of a window, the materials and techniques used in its creation, and any past treatments as well as its current condition. 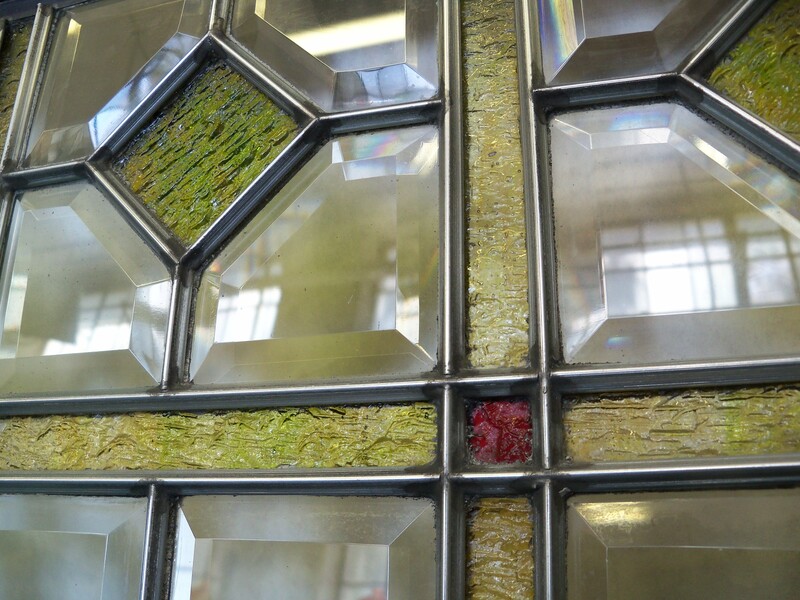 Each stained glass project must be assessed to determine whether the optimal conservation treatment is simple stabilization of structural integrity or restoration of missing elements. 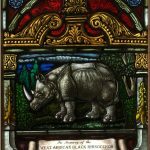 For a badly damaged Mayer’s of Munich window (c. 1908) from the nave at St. Paul’s Church in San Francisco, it was determined that restoration of missing elements and imagery was the appropriate intervention in order to preserve legibility of this culturally significant window. 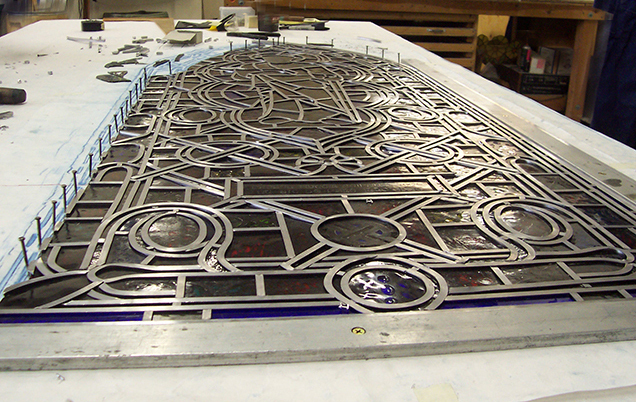 The panel was dismantled and each piece of glass was cleaned. 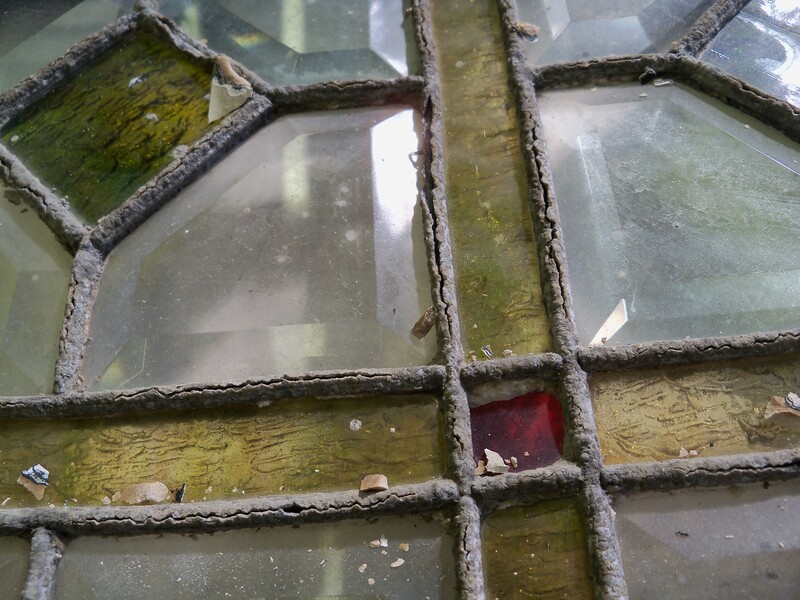 The damaged corner glass pieces were color matched and glass was cut and shaped to fill the losses in the glass. 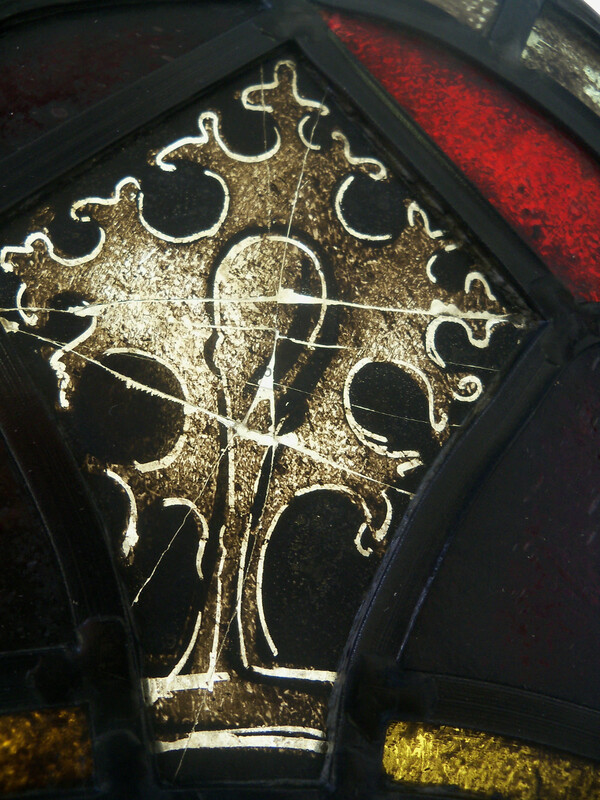 The matching red-flashed glass was painted and fired to blend with the quality of the line work of the remaining glass from the original window. Epoxy resin infilling and cold-painting were utilized to further create a sympathetic restoration.